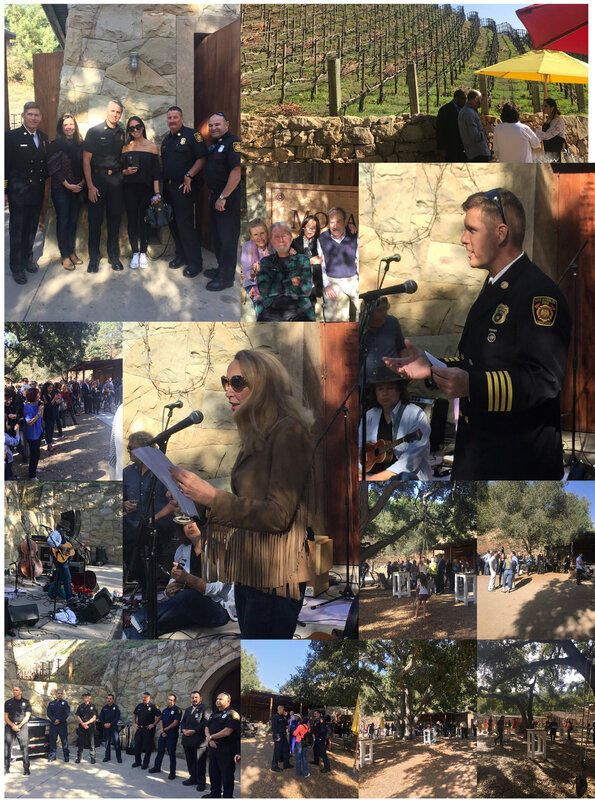 Overwhelming support at last Sunday’s neighborhood gathering, hosted by Moraga Bel-Air’s Roxanne Langer, and The Bel-Air’s Susan Disney Lord, to show our community’s appreciation for LAFD's heroic efforts during the recent fires (Skirball Fire and last Friday’s Bellagio Road fire — not to forget the Bel-Air Road fire of October 2017). Speakers included LAFD Chief Deputy Alfred Poirier; Nina Andro, President of the LAFD Foundation; Susan Disney Lord; Roxanne Langer, and Jerry Hall (Mrs. Rupert Murdoch). Council District 5’s Deputy of Public Safety, Greg Martayan, was in attendance. Because 97% of the City’s budget for the LAFD goes towards salaries and benefits, there is no money for station repairs and other necessities required by our firefighters. LAFD Foundation’s funds are used to buy equipment and supplies as new tools and hand-held tablets and computers. The funds also supplement training, improve its leadership and strengthen its ties to the community as well as fund firefighter Cadet youth programs. That is why the LAFD Foundation is so necessary. Nina Andro said there was $60,100 raised as a result of this event from Bel-Air donors expressing their thankfulness to the LAFD.